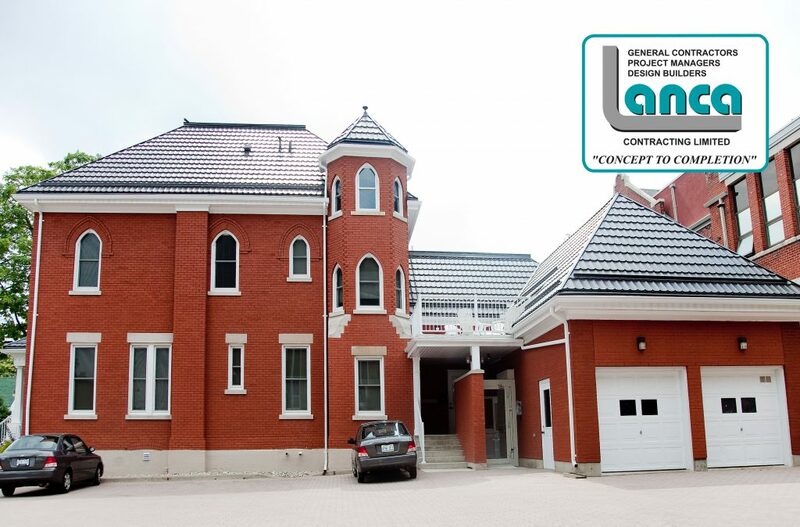 Testimonials – LANCA Contracting Ltd.
Lanca Contracting Limited successfully constructed the new Six Nation Fire and Emergency Service Station #1 which was a project that cost a total of 2.65 million dollars of which approximately 2.16 million was comprised hard construction cost. Lanca worked well with the Owner by maintaining active communication throughout and were very inclusive of the Owner in their management of the unforeseen issues within the project, all of which supported a collaborative working environment and resulted in timely approvals and limited down time, and ultimately a smooth project. Lanca Contracting Limited was hired to complete a Pre-Engineered addition and a second floor addition at our new location on 34 Charlton St. in Brantford. The staff at Lanca was instrumental in guiding and helping with the permit and approval process at City Hall. Lanca designers were able to change and adapt the design to meet our need while keeping it within the parameters of the City requirements. The project was kept under budget and on time and we freely recommend the services of Lanca Contracting Limited to anyone. 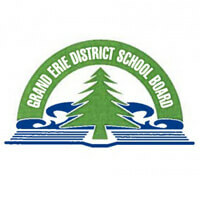 — Chad Kaczur, Lancaster Construction Ltd.
Lanca Contracting Limited has been a long time valued Contractor for the Grand Erie District School Board. They have assisted us in delivering building projects ranging in construction valued from $25,000 to $1 million and above including: Full day kindergarten additions for single and multi-classrooms. 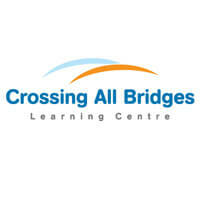 Classroom conversions/renovations, including specialist spaces, change rooms, relax rooms, drama rooms, food prep areas, universal washrooms, etc. Lanca consistently meets project deadlines and budgets. Throughout the construction projects, Lanca Contracting Limited genuinely shared our commitment to each endeavour and helped foster that same commitment with the sub-trades. We were very satisfied with the results of all projects. They were completed on time, with a high degree of workmanship and within the construction budgets. I was personally impressed with the pleasant manner of Lanca’s personnel. Lanca’s attention to detail and genuine concern to ensure they met the needs of our organization and the clients we work with was excellent. I look forward to working with Lanca Contracting Limited on future projects. The Six Nations Fire Hall consisted of a 2 bay pre-engineered steel structure of approximately 1,053.95 m2 (11,344 ft2) with administrative and operative sections. Lanca was the general contractor on the project with Connie Martin as the Project Manager, and we were the primary consultants. 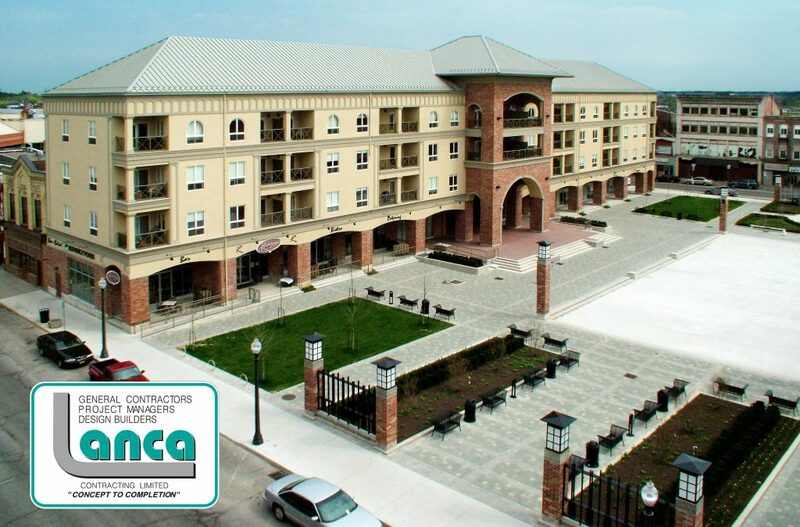 We were pleased with the performance of Lanca throughout the project. 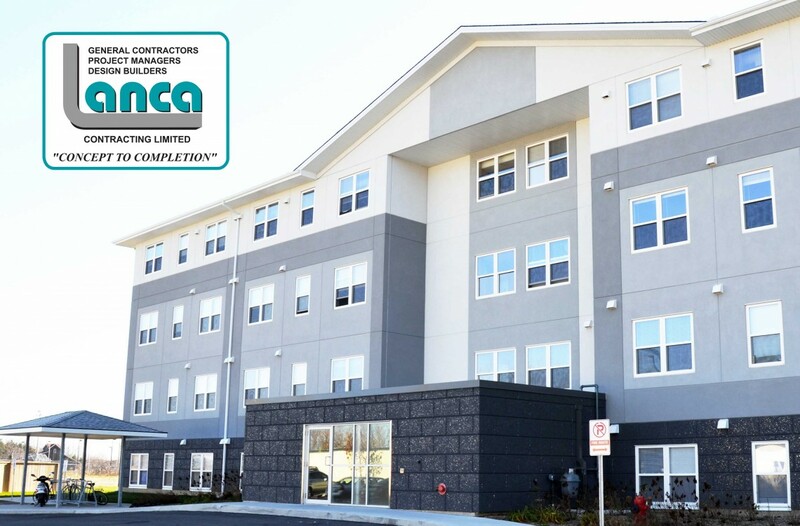 We have worked with Lanca Contracting Limited on other similar projects on the Six Nations of the Grand River and Mississauga of New Credit and have always found them to be very conscientious, fair & their work to be of good quality. — Fred Doolittle, Dipl. Senior Project Manager/Vice President K.L. 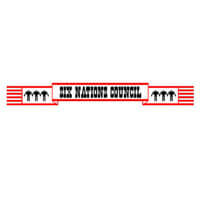 Martin & Associates Corp. 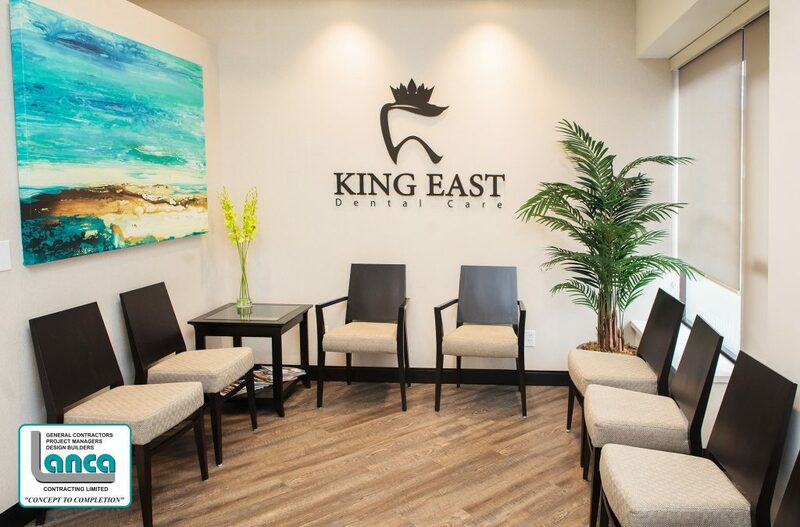 I have recently completed an eleven operatory dental office building with Lanca Contracting Limited, who were professional and very diligent in their work. Lanca had a good handle on their trades, and they worked well with my designer. The Project Manager handling the build was Paul Bisanti. He was on top of the build timeline & his knowledge of our project, building materials and options for different decisions that needed to be made. We were able to move in and start work on the day that we wanted to. Overall it was a pleasure to work with Paul and the team from Lanca. 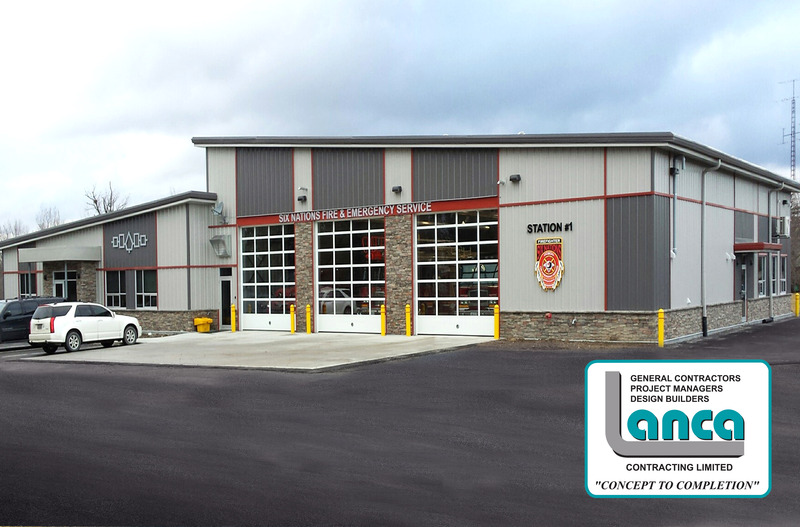 Lanca Contracting Limited was the General Contractor for the recently completed four-bay, Station 11 Fire Hall in South Haldimand. During harshest winters on record, Lanca was able to keep production on pace with the original schedule. Site meetings were held regularly and were always well organized. Despite the difficulties with the weather & bedrock that Lanca encountered, the project still finished more then 300,000 below the next nearest bidder, saving tax-payers a size-able amount of public money. The construction process was smooth & communication was maintained every step of the way. We felt comfortable that we had the right contractor for the job & would be more then pleased to work with Lanca on another project. 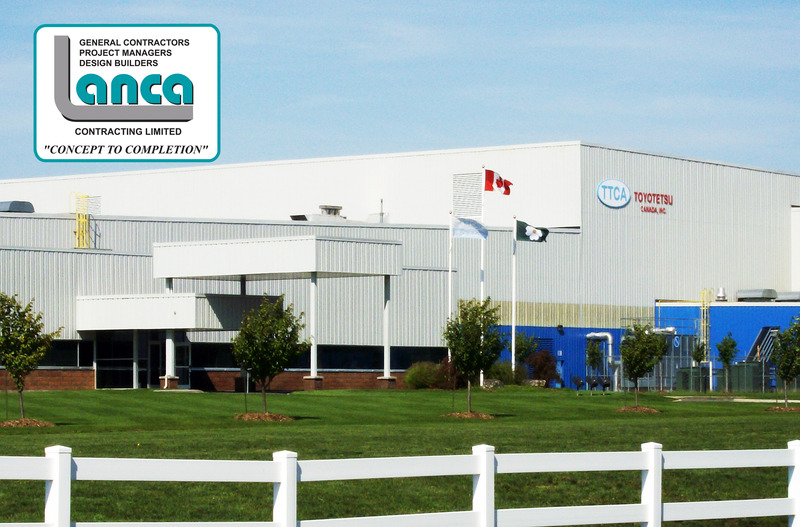 Lanca Contracting Limited was hired to complete a half million dollar expansion & renovation to our operations facility. Throughout the project Lanca and its project team members handled the project in a timely & professional manner. The project was on time and on budget and any variations to plans or requirements of Six Nations Gas as an end user and Owner were handled effectively and transparently. 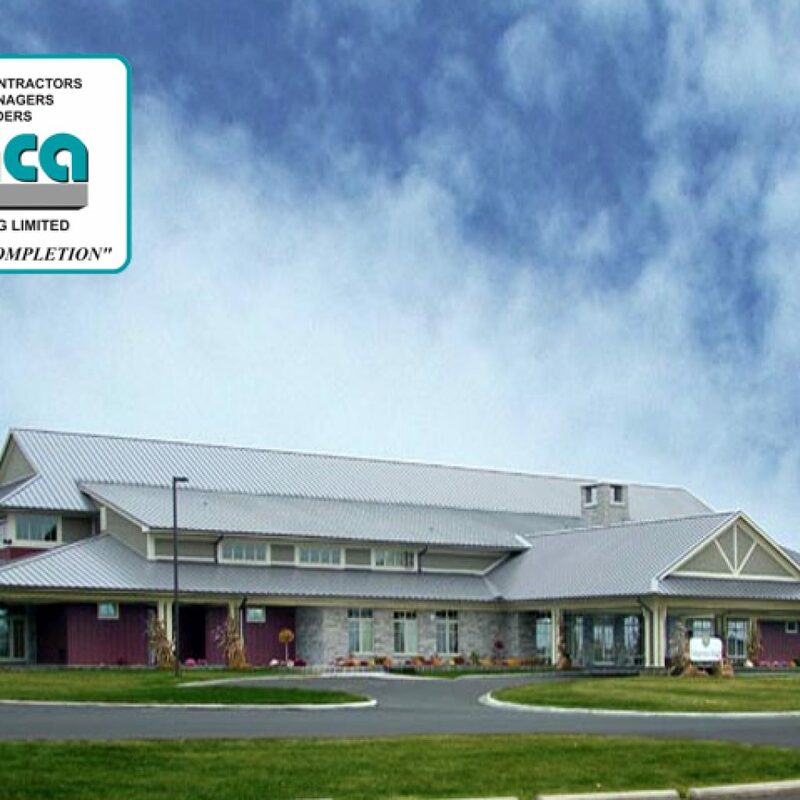 Ultimately the project was completed to Six Nations Natural Gas’s satisfaction and we would recommend Lanca Contracting Limited. We have worked with many contractors both large and small over the years on various projects. None have shown more knowledge, expertise and professionalism than Lanca Contracting Limited. The skill in workmanship, attention to detail and focus on meeting deadlines was excellent. Given the opportunity we would be more then pleased to work with Lanca Contracting again, they were a pleasure doing business with & we would recommend their services to anyone. 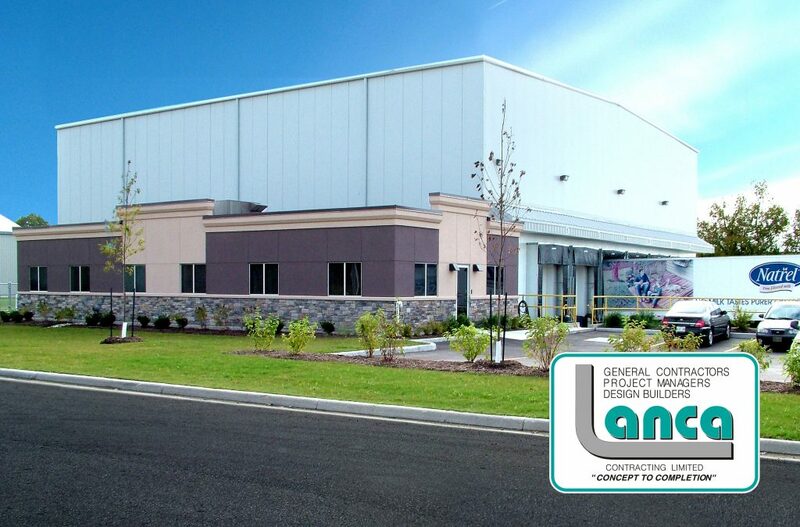 Lanca Contracting Limited recently completed a multi-million dollar multi tenant industrial/commercial facility of two adjacent building structures at 1295 Cormorant Rd. in Ancaster. 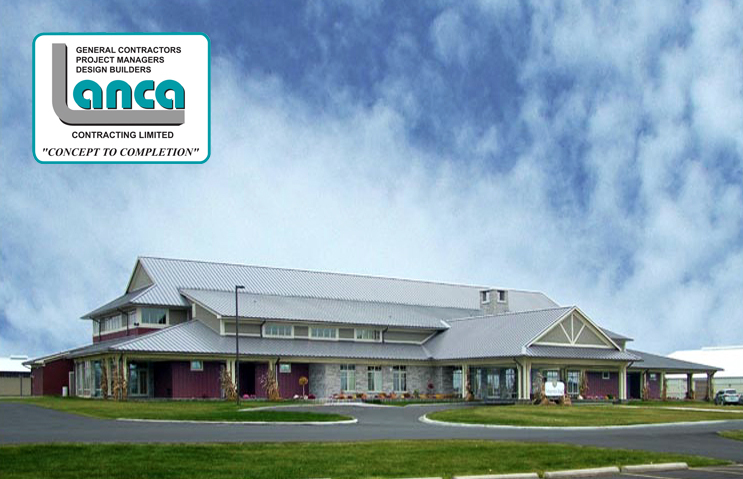 It is my pleasure to provide Lanca with a reference for their overall excellence in the contracting industry. We would have no hesitation to continue our professional relationship with Lanca and look forward to future building projects. 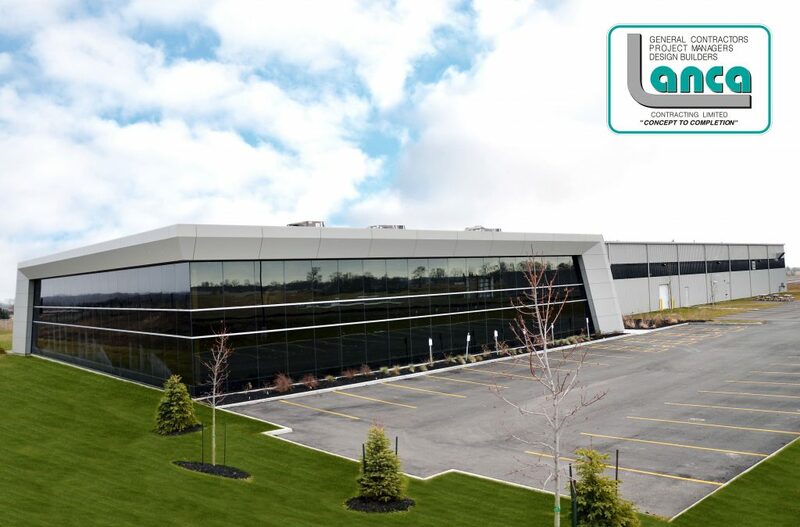 It was a pleasure working with you on our 10 acre, multi-million dollar development in the Ancaster Business Park. Through out the multi phase construction project your team has demonstrated a fine commitment to quality and attention to detail. We would highly recommend Lanca Contracting Limited and would not hesitate to hire them for future developments. From day one, we always assumed that any of the bidders could build a physical structure, but what differentiated Lanca was your understanding of the requirements and the creativity in the design elements. You certainly came through. We have a great facility, well built, functional, comfortable and efficient. I have a feeling that you might be putting up the expansion sooner than later, and again that’s a great example of Lanca’s foresight in the design. Keith and Nathan Lancaster helped the Burford Agricultural Society take a leap of faith with the decision to rebuild this facility which is so vital to Burford. On Nathan’s promise, the new hall was ready for the 2013 fall fair to the astonishment of many. The Burford Agricultural Society put its trust and confidence in the hands of Lanca Contracting Limited, a business with deep roots in Burford, and thank Keith, Nathan and the entire team for their support and overwhelming dedication to their craft of improving landscapes. I want to thank Lanca Contracting for the work done for Simcoe Little Theatre. You have ensured excellent quality of work with your project management, job foremen, crew and the trades subcontractors you selected. From the beginning you helped keep the project and the budget on track. Timelines were tight due to the government regulations under which the project operated. Communication was key and you were able to anticipate issues that needed attention before any potential problems arose. Your consideration of our needs and attention to detail was much appreciated. Your warranty of work performed is also noteworthy. This was a professional job, well done. 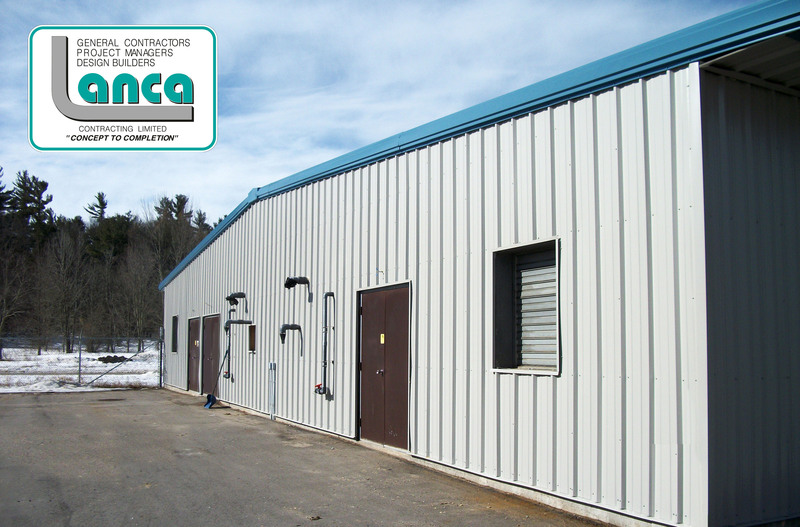 Lanca Contracting has performed various construction works at our facility, which includes small building upgrades, to large additions. 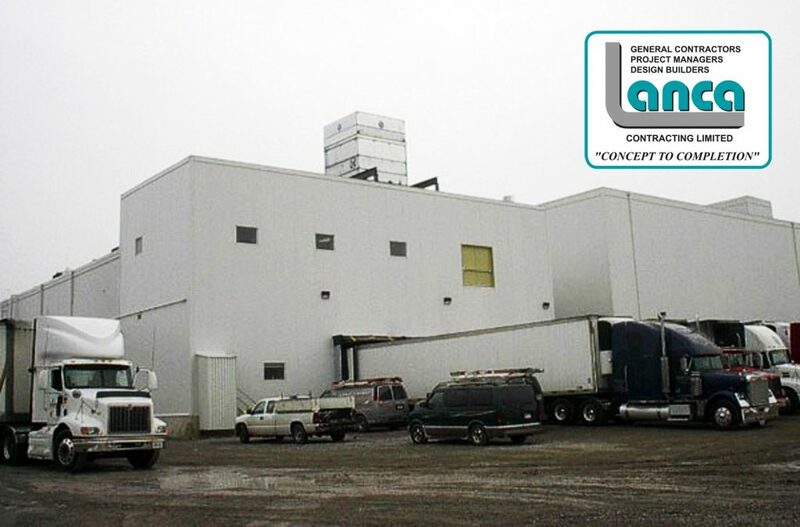 In 2005, one of the additions was the construction of a large 22,000 square foot holding freezer, with office spaces and a new refrigerated loading dock area. The work performed was to building standards, and met all project timelines. In addition we have found Lanca Contracting stands behind all worked performed, and is willing to build relationship with their customers. From start to finish Lanca Contracting acted professionally and was fully engaged in our projects. The communication was beyond expectations, we always knew what was going on and what was planned next. The project manager showed excellent judgement and planning skills. Site supervisor was always fully engaged in the planning as well as the execution. Our frequent site visits always showed professional and safe work environment. Throughout the project Lanca Contracting repeatedly showed their pride and ownership in their work. I would have no hesitation recommending Lanca Contracting Limited for other projects. 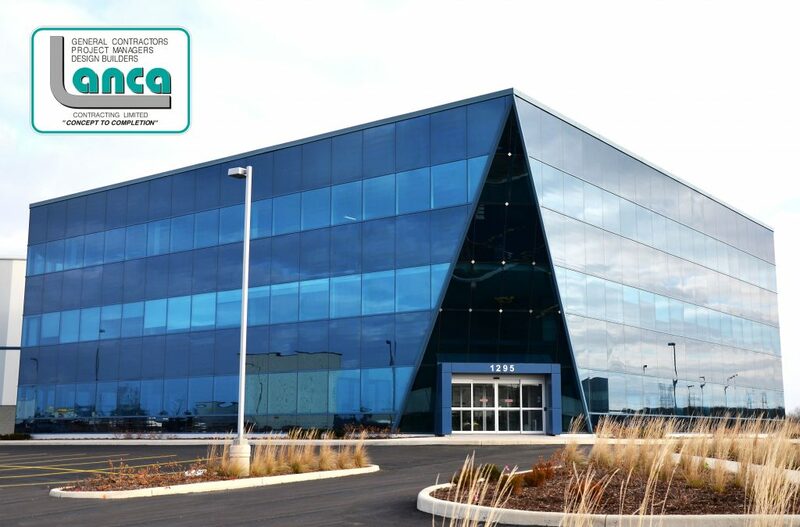 They executed on our project budget, a time sensitive schedule, hurdles with the city, a winter build and challenges with Agropur’s decision making progress, with the results being a D.C. that was fully operational on-time. 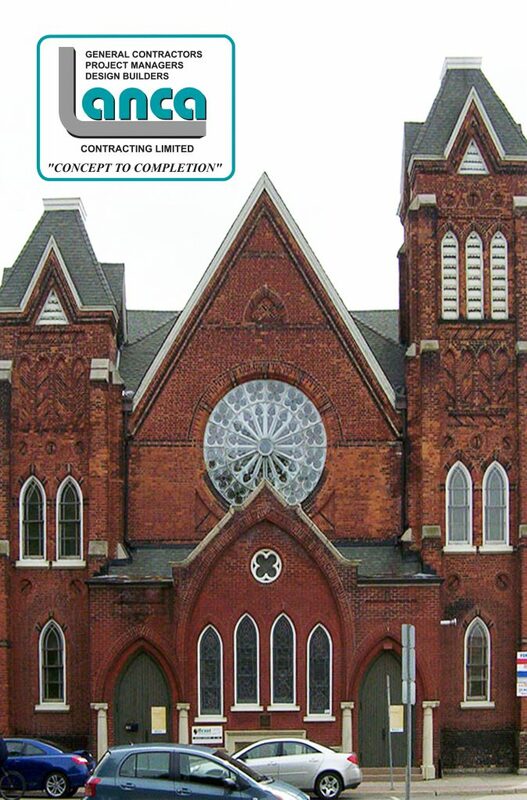 I would like to thank Lanca Contracting Limited on the successful completion of the renovation/conversion of the church to student residence located at 65 George Street, Brantford, ON. Lanca was our Construction Manager for the project and provided design, tender and construction services. The team of subcontractors and suppliers provided turnkey service including all finishes, controlled access and communications. The knowledge and experience that Lanca’s team provided was invaluable in completing our project on time and on budget. We are extremely satisfied with Lanca’s workmanship and attention to detail that was carried out in a very professional manner. We would recommend them for any construction project, especially renovations work, and will use their full services on any future projects. 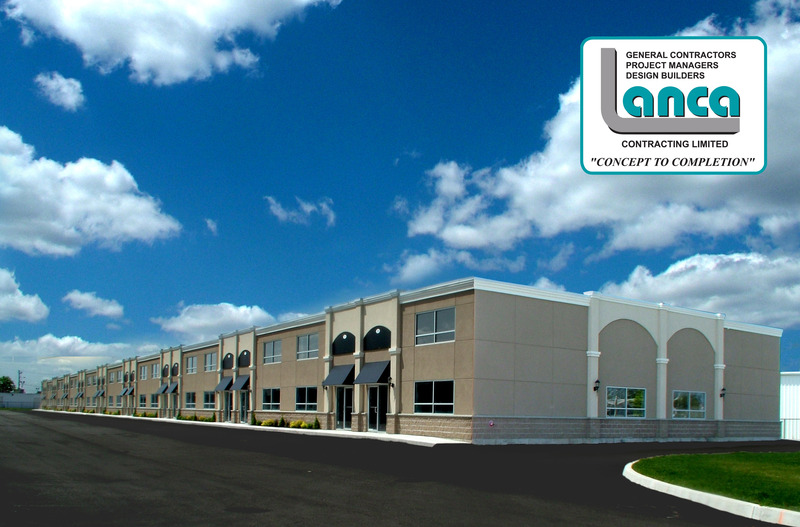 Lanca Contracting Limited was awarded the contract to construct a 44 unit, 52,000 sq.ft. residential apartment building geared towards senior and persons with disabilities. One of the many requirements to form part of the development was the LEED Silver Certification, one which was achieved in addition to very good workmanship, and professionalism on behalf of Lanca Contracting Limited. Dear Mr. Lancaster This letter is to confirm that the Toyotetu Management Team is pleased with the completion of the warehouse addition. Lanca had to deal with uncontrollable weather conditions that challenged the timing of the project and has done everything in its power to overcome theses challenges. The project was successfully financed and nothing has been left uncompleted. Lanca worked with Toyotetsu in order to get the best end -results for Toyotetsu. Lanca Contracting completed a multi-million dollar industrial/commercial condominium project for my companies. Initially Lanca was contracted for building phase I, but once that contract was completed, I was both satisfied and enthusiastic enough to immediately award them phase II building of this development. Being in the construction industry myself, you can imagine the scrutiny and pressure to perform that Lanca had faced in bringing this project from concept design to finished product. 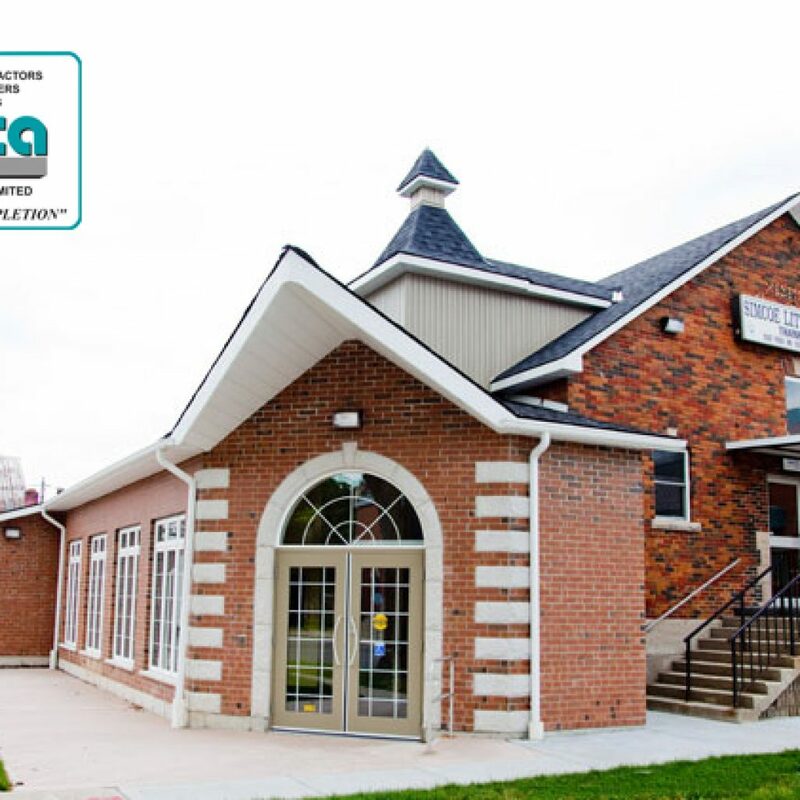 Lanca has been a long-standing and significant contributor to the Brantford business community and continues to operate in the family tradition as a reputable, accomplished and highly adaptive designer/builder of projects various sizes and complexity. Lanca will definitely be considered first for future projects. — James Patrick Haggerty – Haggerty Bros. Construction Inc. It is with great pleasure that I write this letter of appreciation to Lanca Contracting. 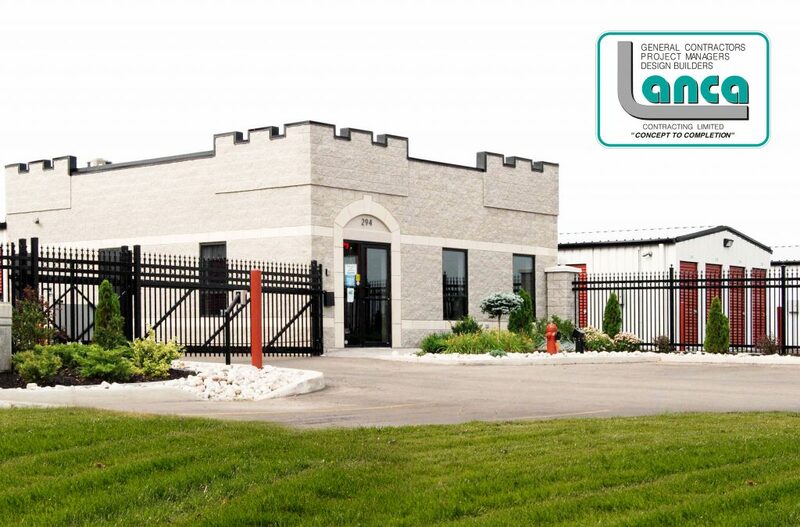 They recently finished construction of our new self storage facility at 294 Henry street. Lanca and their staff demonstrated their professional ability by completing the job in a timely manner despite unfavourable weather conditions. We continue to receive compliments from our new potential customers. We continue to receive compliments from our new and potential customers on the design and aesthetic of our building. we would highly recommend the services of Lanca Contracting for any consecution project. Lanca Contracting Limited was hired as Project Managers for both Civic Square Phase I & II. Each project was budgeted for approximately $4,500,000.00 and the Contractor was able to complete both projects by meeting the time frames and budget requirements in an acceptable and professional manner. Their experienced staff was able to solve problems early-on to allow the projects to run smoothly and safely. The workmanship,integrity and capabilities of Lanca Contracting Limited won the contract for Civic Square Phase III, which has already started. The restoration of St. Basil Rectory is now complete, in no small measure, due to the contribution of Lanca Contracting. As Project Manager, you facilitated the collaboration among the architects at MMMC, the trades and the Parish Building Committee. During this process, there was never a time when you were not available or affable. We have a fine structure that will serve the Parish well for many years to come. I wanted to express what a pleasure it has been working with Lanca Contracting Limited. While the construction of Marritt Hall was at times a challenge with the weather, you and your staff were always professional and courteous in our dealings with you. The volunteers and staff with the Ancaster Agricultural Society thank you for your patience and commitment to completing the new Marritt Hall. Every member of Lanca’s team has been very professional, personal & has fully engaged themselves in our project from our very first meeting. Our project was intricate with many facets to contend with, in particular this project was an addition to three buildings while at the same time continued normal operations. We were most impressed at how Lanca’s team took care of any challenges that arose & were always dealt with promptly, without compromise. The staff and trades worked very well with our staff in coordinating the construction schedule to accommodate our needs. We are looking forward to our next project with Lanca Contracting. Lanca Contracting has done few projects for us. 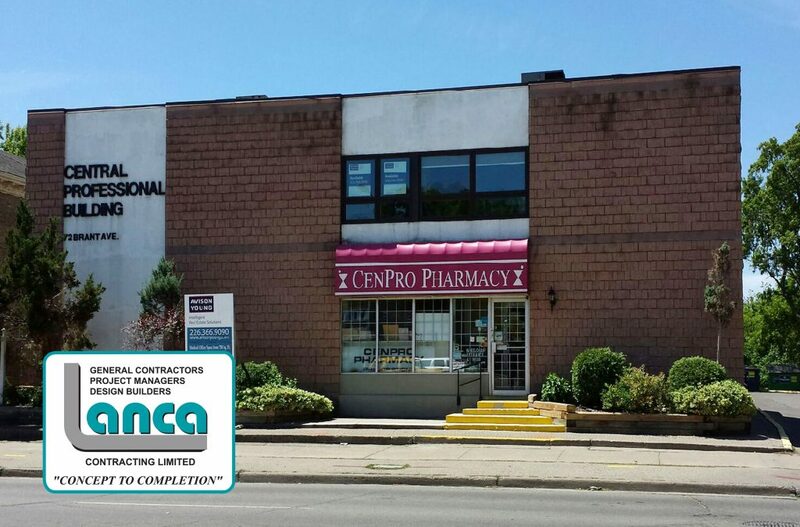 The first project was Cenpro Pharmacy 25 years ago which was a partial expansion of Central Professional Building of Brant Ave. It was an excellent job and finished on time. 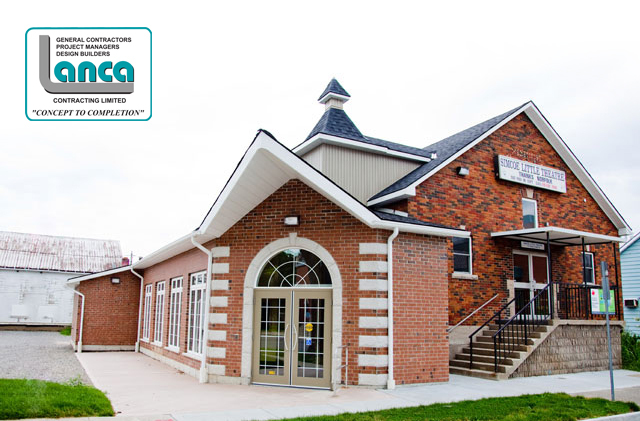 The second project was in 2003 regarding the expansion of my plaza at 627 Park Road & a vet clinic which finished on time. The next project was in 2004 at 160-162 Colborne St which is University Pharmacy and D&R Residence. To my surprise 80% of the project was done in just 12 weeks with foundation laid July 13th and students were in residence September 1st. A remarkable and excellent job was done with project finishing on time and on budget. A lot of positive comments were made from the Mayor and City Councillors. Additional projects were 2005 a 15,000 sq.ft. plaza on 625 Park Road & an industrial 40,000 sq.ft. industrial building in 2006. We are very pleased with Lanca Contracting Limited workmanship, honesty, and integrity and highly recommend them. 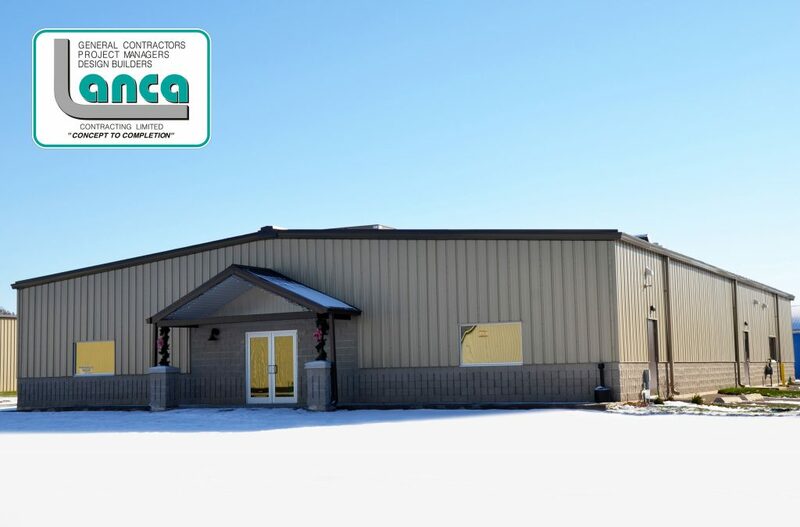 We are happy to pass along our congratulations to Lanca Contracting Limited for successfully completing a new 16,555 sq.ft. Robertson Building for J.P. 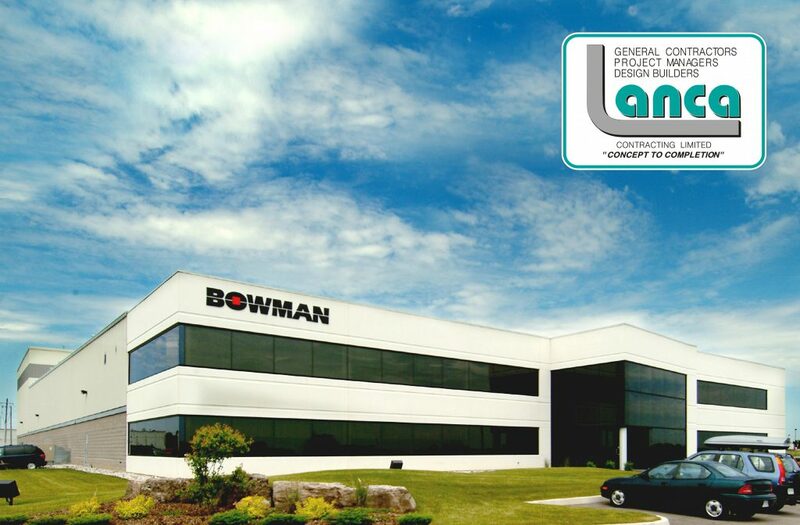 Bowman Limited in December 2000. Your close attention to our needs & your timely completion of our project were sincerely appreciated. We will not hesitate to consider Lanca for our future expansion requirements.